The National Institute of Dental and Craniofacial Research estimates that 5-12% of adults in the United States have TMJ. 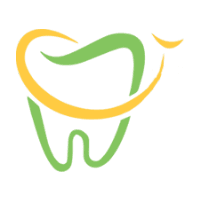 At PDADental in the Financial District, Lower Manhattan, New York, the caring dental team knows that TMJ is more than a painful jaw and can include neck pain, headaches, and other symptoms that can negatively affect your quality of life. PDADental offers innovative solutions to help you find relief from a painful jaw hinge joint, excessive teeth grinding and clenching, and the other associated complications of TMJ. Schedule here on the web or call PDADental today. Temporomandibular joint disorder, commonly called TMJ, refers to issues with the hinge joint that connects your temporal skull bones to your jaw and allows you to move your jaw from side to side and up and down. It also enables you to chew your food, talk, and yawn. TMJ is more common in women than men and in younger adults between the ages of 20 and 40. TMJ can occur due to clenching or grinding your teeth and exerting excessive pressure on the joint. This typically happens unknowingly while you sleep. You might be one of the many people who subconsciously grind their teeth due to stress and anxiety. The hallmark symptom of TMJ is moderate to severe pain, discomfort, and soreness in the jaw hinge joint and the nearby area. You might also experience ringing in your ears (tinnitus) and hearing difficulty. The PDADental team provides valuable treatments for TMJ, depending on the cause and severity. Treatments usually include splint or night guards to prevent nighttime or daytime teeth grinding. Night guards are highly effective for treating TMJ and relieving pain. Other treatments for TMJ include medications, such as anti-inflammatories and muscle relaxants. If dental work is necessary, it usually involves replacing missing teeth and effective dental options like crowns, bridges, or braces to correct your bite, restore your smile, and balance biting surfaces. Your PDA dentist evaluates your current dental health, concerns, and your TMJ symptoms, and then creates an individualized treatment plan. Your PDA dental professional takes time to determine the right treatment approach to suit your individual needs. Don’t just live with the tribulations of TMJ. Call PDADental or book online today.